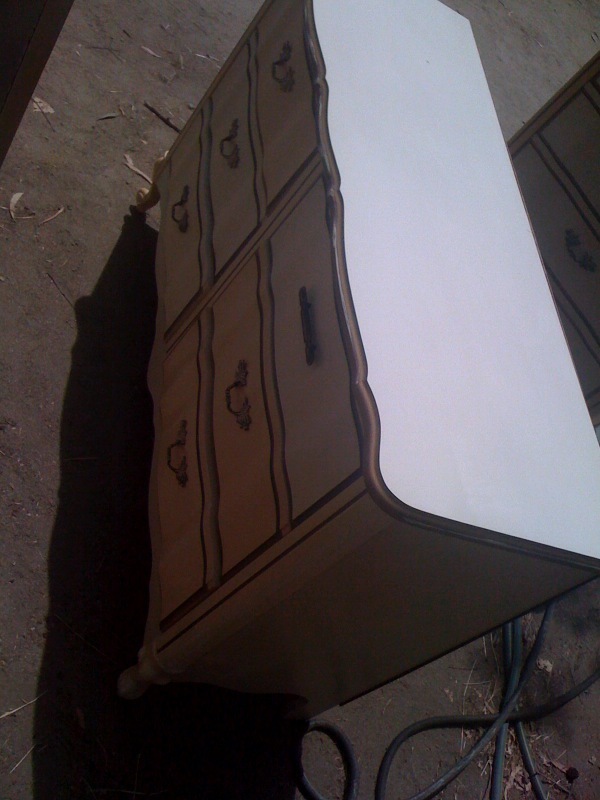 First, we love coming across these french provincial style dressers. They are well-built and look great in just about any color. So, we started but lightly sanding it down and changing the handles. Once that was done we wiped it down with a wet rag and waited for it to dry. Once dry we started the painting process. 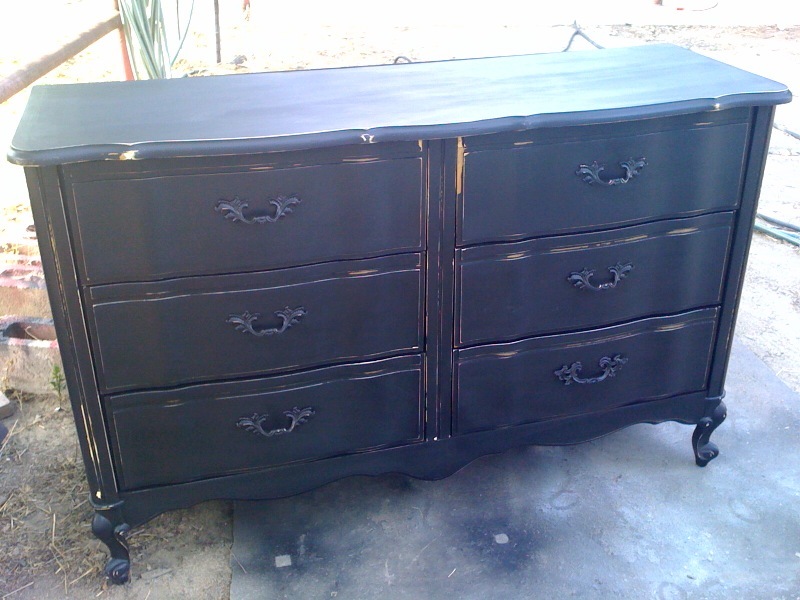 We Like to use American Accents Canyon Black Satin Paint and we also used a paint sprayer on this piece. 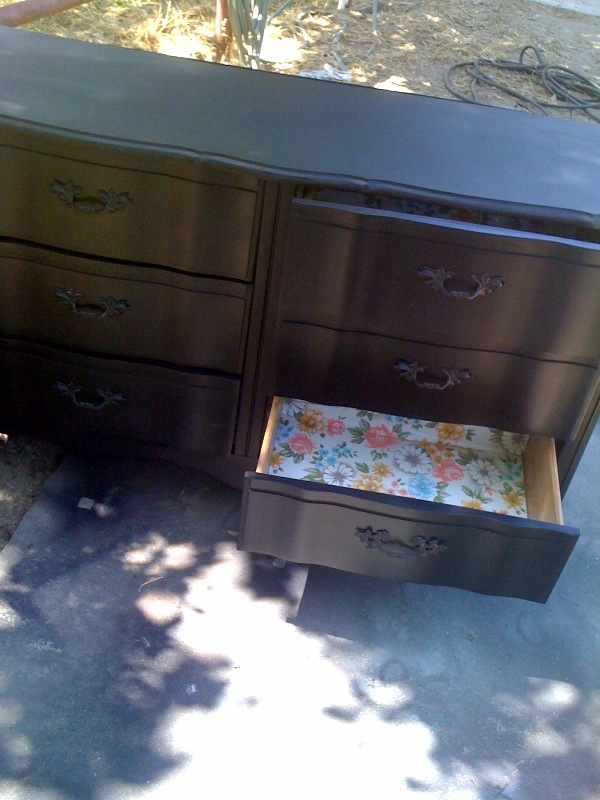 It needed a little distressing.. What a difference! We love it! For distressing we used a sanding block and went around the edges. Once the distressing was finished we put a finishing wax on for a nice smooth finish! We worked on all six pieces in one day and I must say my arm was killing me! But well worth it!